The Tribes of Europe: Research Finds Widespread Dissatisfaction with European Union, Mass Migration – Forza Nuova U.S.A. The majority of Europeans now reject the European project according to new research, which has also found widespread dissatisfaction across the continent and even in nations generally considered to be the most supportive of the political bloc. Asked whether respondents agreed with statements like “The EU is very democratic”, “The EU should have more power than it already has”, and “Immigration has been good for my country”, the citizens of Europe regardless of nation were found to widely disagree. Over 10,000 people in 10 European nations stretching from the United Kingdom in the north west to Greece in the south east were surveyed in the new research by the Royal Institute of International Affairs at Chatham House, and the respondents classified according to attitude towards the European Union into so-called ‘tribes’. Negative attitudes towards the European Union dominate in these, too, with the two most significant anti-EU groups out of the six total — so-called Hesitant Europeans and EU Rejecters — making up 50 per cent of respondents. Adding the ‘Austerity Rebels’ takes the total anti-EU sentiment to 59 per cent. While certain attitudes towards the European Union and the particular changes it has forced on the continent — like mass migration and asylum resettlement — is particularly pronounced in some European nations, the general feeling about the governance of the continent is more uniform. Responding to the question ‘The EU should have more powers than it currently has’, large numbers supported the idea of the European Union returning powers to member states than accrue new ones, with outright majorities in Greece, the United Kingdom, Austria, Italy, and Germany. Overall, more supported the EU giving back powers than getting more ones or staying the same in every European state investigated. Attitudes to mass migration varied more obviously, with countries like Greece, Italy, Poland, Hungary, France, and Austria all saying immigration had not been positive for their nations. In the United Kingdom, those appreciating immigration at 35 per cent outstripped those who said it hadn’t been a benefit at 34 per cent. 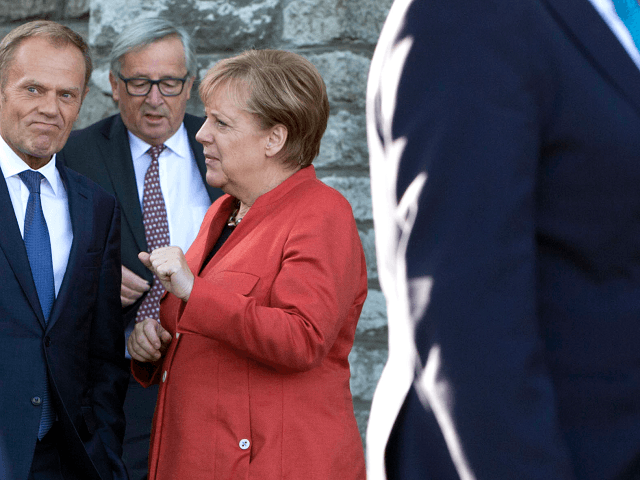 While the United Kingdom is the most obviously Eurosceptic nation as it works through the process of leaving the political bloc, the study also shed some light on other nations that could be heading to a more fractious relationship with the Union. Joining Britain in having the highest concentrations of dedicated Eurosceptics was Central Europe’s Hungary, and Brussels — seeing high concentrations of ‘EU rejecters’ despite being the home of the European Parliament. In the Middle of This Century Europe will have an Arab-African Face.